Whilst nosing around Alex’s site I found a few more pictures that I liked, such as this one. Can you name the Palm OS PDA in the picture? 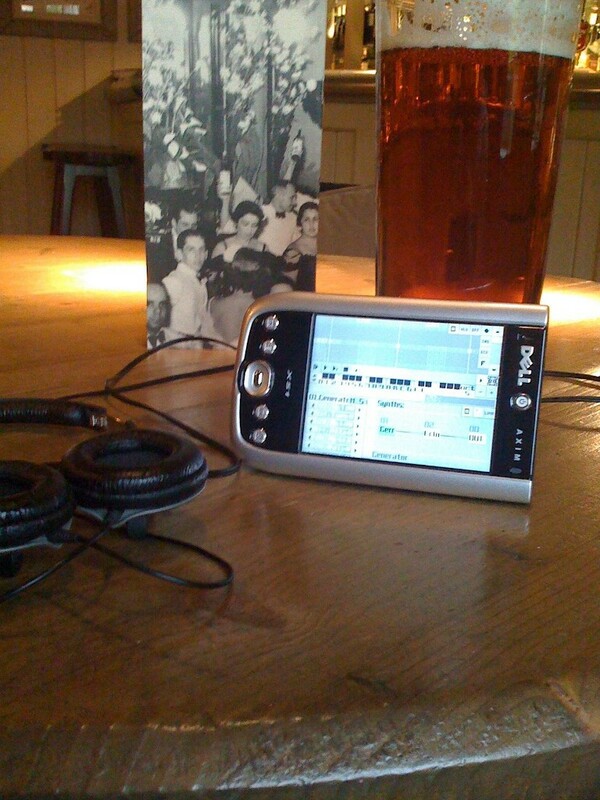 And finally, this picture, which is a personal favourite, mainly as I took it, in a pub, on the way home one evening, and had a very pleasant time with my Dell Axim Windows Mobile PDA and Sunvox. 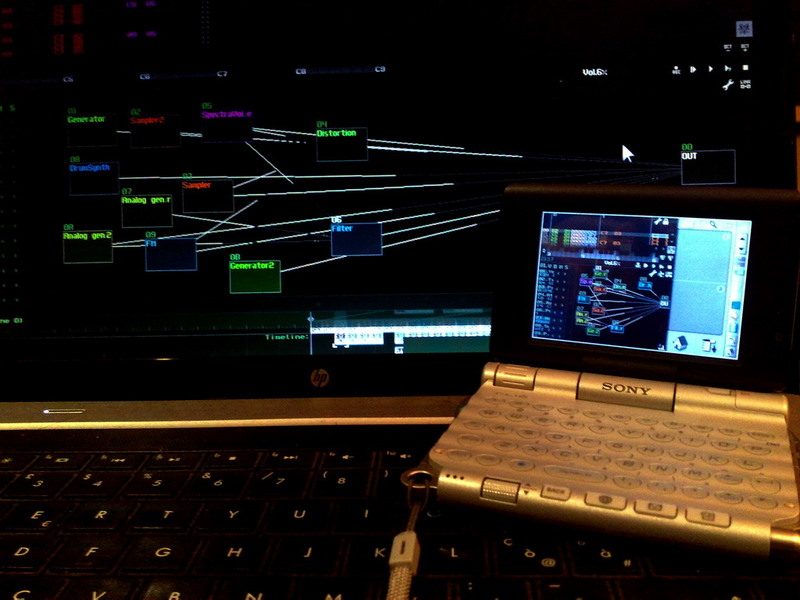 Anyway, Sunvox has been around for a while now, and is the brain child of Alexander Zolotov who has also brought us amazing app such as Virtual ANS, PixiTracker, and Quantum VJ HD. 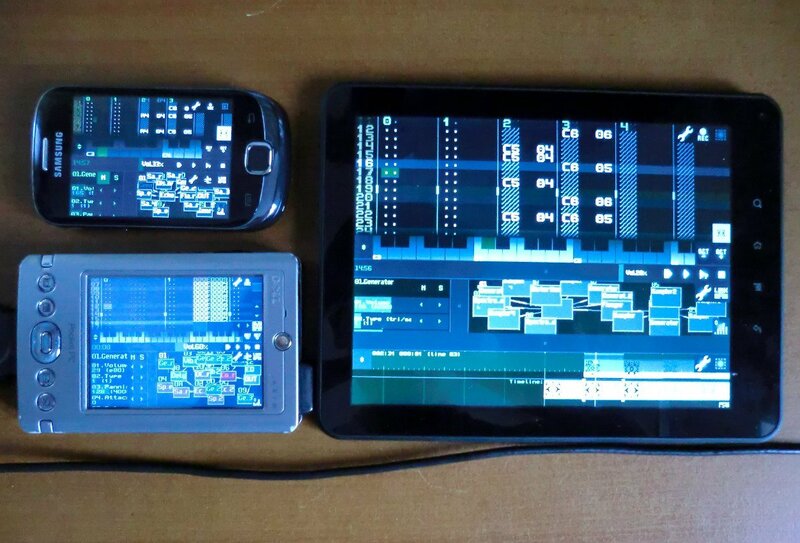 He’s also branched out into hardware more recently with Quantum VJ and DJ. If that wasn’t enough he’s also created a programming language called PixiLang too.